Item # 312411 Stash Points: 5,995 (?) This is the number of points you get in The Zumiez Stash for purchasing this item. Stash points are redeemable for exclusive rewards only available to Zumiez Stash members. To redeem your points check out the rewards catalog on thestash.zumiez.com. A brand focused on making classics, State Footwear have offered simple, yet stylish silhouettes that remain as versatile today as they did during their debut. 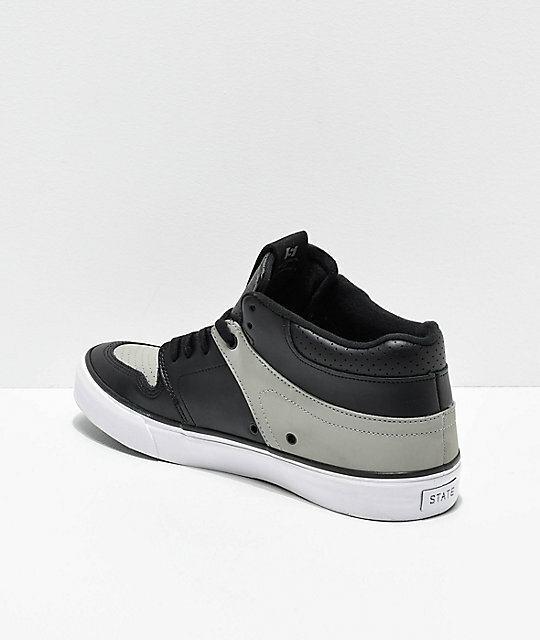 The company now unveils their clean-cut Mercer, in an all-new black, grey and white composition. 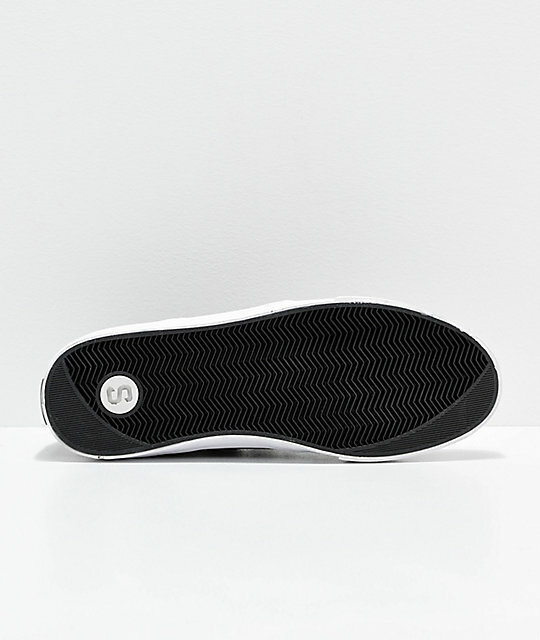 Dressed up in double stitched leather panels throughout the upper while the interior comes equipped with State's Duraflick rubber layer for exceptional durability. Coming in a tri-toned colorway and a simple overall aesthetic, the Mercer is a sneaker worthy of street skaters and streetwear fashionistos alike. 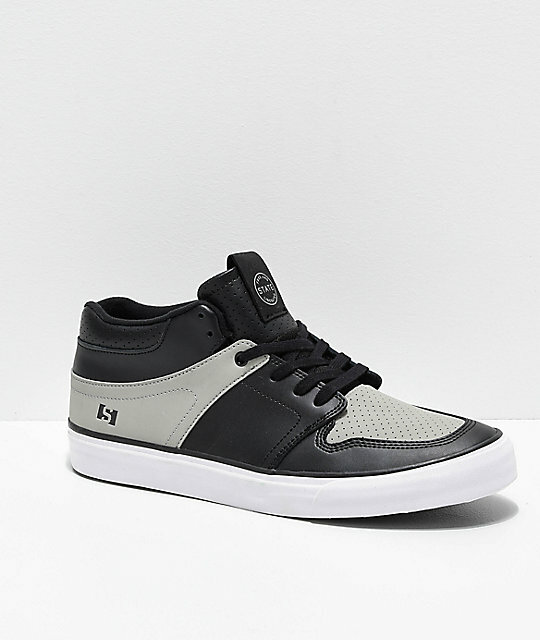 Mercer Black, Grey and White Skate Shoes from State. 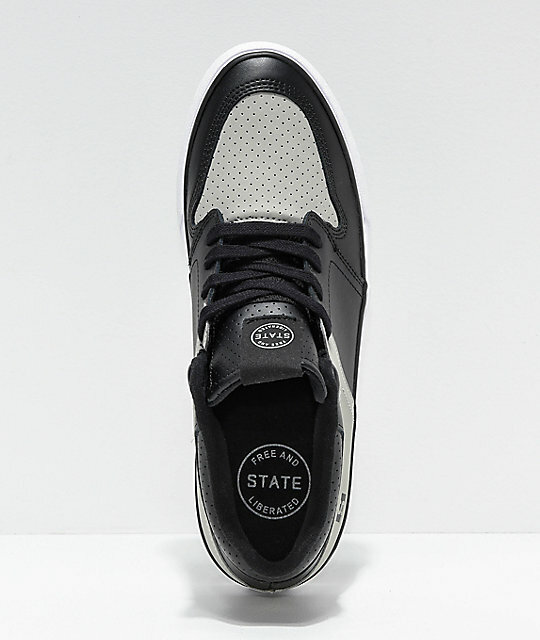 Leather upper with perforation details on toe, top of tongue and along collar. Reinforced double stitching throughout for durability. Lace up closure with one reinforced metal eyelet. State brand tag on the tongue.